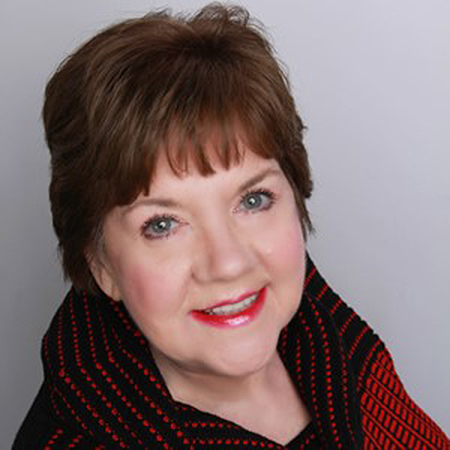 Barbara Spencer enjoyed a non-fiction writing career with San Antonio News and Jan Gardner Advertising before joining a Fortune 500 company where she designed and presented corporate training materials and other business communications. She now pursues her true love of writing fiction, especially mysteries. While her first novel Family Business is waiting for a publisher to love and publish it, she works on her follow-up novel, writes short stories and volunteers for her favorite causes. She also is on the Resource Team for the Educational Committee and the Monitoring Project for Sisters in Crime National. A Frisco resident, she has three outstanding grown daughters, three perfectly wonderful grandchildren and one adorable fur baby. Valerie Wigglesworth is a wannabe novelist who loves true crime, where the details are sometimes stranger than fiction. She finds some of the most fascinating reads in court records. When she’s not writing or reading, she’s doing the family thing with her husband and two kids. Jan Angelley cut her “writing teeth” drafting indictments, plea agreements, and 5th Circuit Appellate Briefs while working as a criminal legal assistant for the U.S. Attorney’s Office in Lubbock, TX. Since retiring, she now writes short stories, poetry, Young Adult novels and historical fiction. She’s had short stories published in the Bridgeport Index, and has self-published one Young Adult book, The Chinwag Warrior. Jan is now a resident of Frisco, TX, where she chairs a writing critique group. She has two sons who live in the Dallas area and four adorable grandchildren. David Douglas is a playwright and award-winning short story author. With a penchant for combining romance and mystery, he often writes of central love stories affected (for better or worse) by murder, secrets, or past transgressions. An active member of several writers’ organizations, David has served multi-year terms on three Boards of Directors and is the founder of Stage Writers — a Dallas-based playwright group. In addition to writing, David loves watching classic and independent films and, of course, attending readings and productions of new plays. Pam McWilliams used to call New York City home while working in financial PR and in institutional sales on Wall Street, but she’s lived in the Dallas area long enough to have mostly raised two sons, three Golden Retrievers and one husband. Reading imaginative and well-written books, she firmly believes, is key to a happy and productive life, and at the core of every great work of fiction lies a mystery—even if it doesn’t involve a crime. Pam co-hosts a weekly Book Club for a group of disadvantaged kids at a South Dallas elementary school; so far, her fiction has appeared in Shooter Literary Magazine and two short story anthologies: Meet Cute and Murder Across the Map. She also blogs about the Arts in SHOUTS FROM A THIRD ACT (Art=Life: connecting the dots story by story).